When reading the article below consider the above petition which is an obvious example of animal slavery which is on-going right now. Can animals be considered the victims of modern day slavery. Note the “especially in the past” phrase in brackets which is in fact not true as “There Are More Slaves Today Than at Any Time in Human History – 27 million to be exact. Yes the word slave brings to mind the exploitation of the past but slavery was never abolished as many people think. The number of humans enslaved in the modern world is perhaps beyond our ability to comprehend. Likewise with animals, no doubt the numbers have increased, though there are no statistics it is a forgone conclusion as the rise in population would be accompanied of course by an increase in the use of animals for labour, entertainment and other exploitation. In the video below Activist Robbyne Kaamil reveals how the atrocities of slavery still exist today in the form of animal captivity. 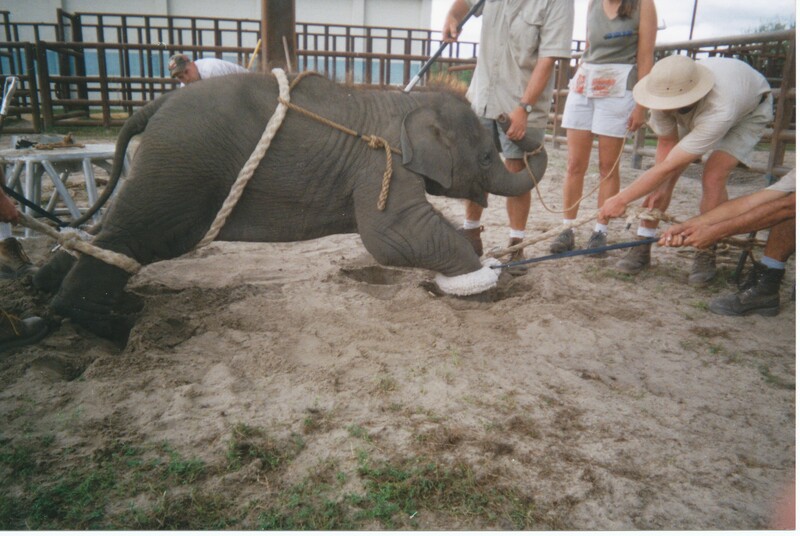 It is suggested by many that there is no comparison, but consider for example the elephant in chains who provides rides in places like Thailand or who is forced to labour such as logging or the elephant consigned to spend all the days of his life until too old to perform in a circus, such as this poor baby being trained/tortured to perform. He has no choice does he, he would rather spend his days within his family group wandering the plains of Africa or Asian jungles not forced to perform silly ticks. Elephants used in these ways fulfill the definition of slavery, in the example below this baby elephant is the legal property of the circus and is made to obey, in this case by means of so called training. He is not free to live his life according to his nature, his needs, his wants. Consider also the animals used in warfare including the elephant who was exploited for war from 1100 years BC right up until World War II when Japanese troops used elephants to cross the rugged terrain of Burma. We are all familiar with Hannibal’scrossing of the Alps in 218 BC with an estimated 40 elephants, one of the most celebrated achievements of any military force in ancient warfare. In more recent times a number of animals were and are used in warfare including dolphins, when in 1967 the US Navy Marine Mammal Program developed a major project. The program, which is still ongoing, began training dolphins for mine-hunting and force-protection. In addition dogs and even pigs have been used in our insane violent confrontations. In ancient times pigs where used to frighten War elephants who were reportedly terrified of the squealing and charging of pigs, so both the Romans and Alexander the Great made use of them in campaigns against enemies that fielded elephants. Did these animals have any real choice in the matter? All where property of humans, like human slaves, animals are bought and sold, all are forced to obey, all are slaves. Surely animals imprisoned in factory farms exploited for their meat, skin and commodities such as milk and eggs are slaves, owned and exploited against their will with no say in the matter. 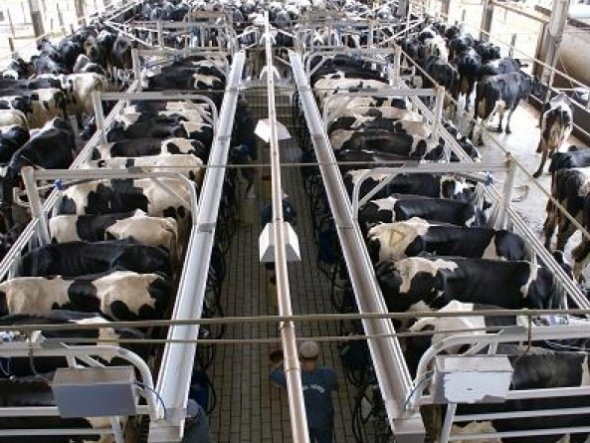 Look at these cows tethered in some shed in a factory farm, they are not able to roam freely in the sunshine, not able to live their lives has nature intended. Thinking feeling sentient beings, these animals suffer pain and fear, with keen maternal instinct like any animal including humans, they cry when their babies are taken from them. 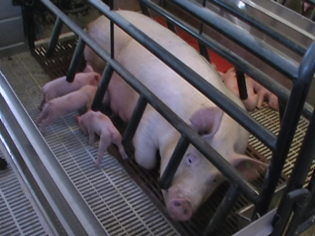 Consider pigs in farrowing crates not able to move let alone stand, not able to interact with their babies. 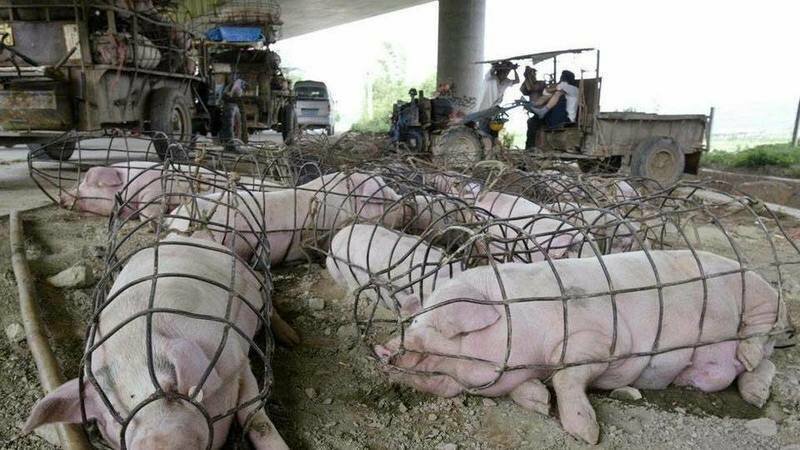 Highly intelligent creatures who go insane, trapped and imprisoned, surely these beings are slaves. 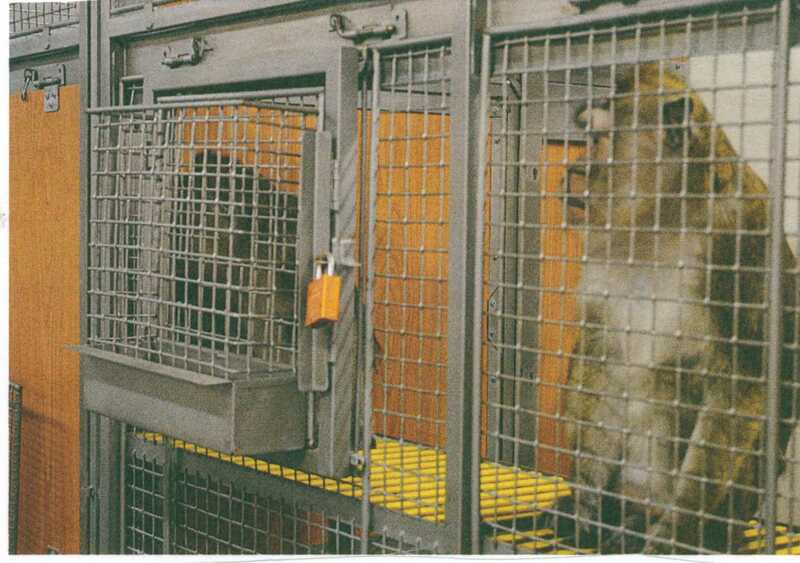 Look at this hideous contraption what kind of inhumane person devised such awful confinement, imprisoning sentient highly intelligent beings – is this not slavery at its worse incorporating hideous abuse. Animals imprisoned and tortured (vivisection) are not only abused they are enslaved against their will and the misery of slavery is here again compounded by violent abuse by humans usually in the cause of profit. You cannot say that a lab animal tortured everyday is not a slave, used and abused for the needs of humans, his life taken from him. According to two Rutgers University professors it could even be considered that pets are animal slaves. “Despite living with six rescue dogs, professors Gary Francione and Anna Charlton describe their pets as “non-human refugees,” according to an article they published on Aeon.co this month. “Although we love them very much, we strongly believe that they should not have existed in the first place,” the couple wrote. “We oppose domestication and pet ownership because these violate the fundamental rights of animals. If an animal is considered someones property and their freedom and their life is taken from them against their will for the purpose of using them to produce such products as meat, milk, eggs, wool or fur, it fits the definition of slavery. Their enforced confinement and the exploitation of their lives and premature deaths is surely not of their choosing. An animal is enslaved when he or she is at the mercy of experimenters, his life is not his own, its obvious right. Also animals trained for military purposes or law enforcement often hailed as hero’s yet often killed rather than retired. Yet despite the obvious comparisons it is by no means easy to get people to consider this treatment of helpless unwilling animals seriously for what it is, namely slavery. Even less acceptable to many is the consideration of a much loved pet as an enslaved animal, but your companion, be he a cat, dog or rabbit does not live a natural life, his will over ridden by human need, often confined even if it is for his own good – after all your pet rabbit or even your dog would soon come to grief if allowed to roam at will. Most certainly a bird in a cage, a fish or reptile in a tank is imprisoned and lives an even less satisfactory life than your cat or dog. This is a difficult area for most of us and it is now not possible to simply liberate pets but at the least effort should be made not to increase the problem. Do not buy from pet shops or breeders, instead buying from shelters rescued unwanted animals. However no matter what we call this whether it’s rescue or sanctuary it is still a form of slavery – think about it your dog cannot even relieve himself until you his owner takes him for a walk. We prefer to ourselves as guardians rather than owners but in reality it is simply a play on words. I like to think I gave the best life I could to my three rabbits – see I automatically referred to them as my rabbits – but in reality they had little free will. I recall my rabbit Sooty sitting by the gate peering underneath, she knew there was more out there and she wanted her freedom. But we have to live in the real world and this is not an easy problem to rectify, as I say domestic animals can’t be liberated, but there are many abandoned animals who need good homes and we need to allow them as natural a life as is possible. Some animal rights proponents believe that humans do not have the right to own or consider animals as property under any circumstance including as pets. Ideally many animal rights advocates would like an end to our keeping animals as pets. However in the main animal rights supporters consider that sharing our lives with our pets/companion animals is an entrenched and established practice at the present time and do not advocate the releasing of pets into the wild, but advise against certain companion animals, such as caged animals and recommend that dogs and cats be given as natural a life as is possible and are acquired from a pound or shelter rather than from a puppy mill or pet shop. A controversial subject maybe and many people object to the comparison. In my opinion there are many similarities between human and animal slavery and why anyone should feel that such a comparison demeans the atrocities of enslaving human beings I cannot imagine as animals suffer in much the same way we do. An injustice such as the deprivation of life and liberty is a crime regardless of the species, intellect, gender or any other consideration. Animals like us experience pain and fear, they like us wish to live and just like us they desire their freedom. No creature should be deprived of their life under any circumstances. There are some differences as of course billions of human slaves were not slaughtered as animals are , yet for all intents and purposes millions of people lost their lives, lost the right to live as they so pleased – estimates vary from a few million to 100,000,000 people taken by European slave traders from Africa alone. Whether or not our use of animals amounts to slavery the fact remains causing suffering, pain and death to any sentient being is wrong in any civilized society regardless of species or any other consideration. Life is precious to all animals, human and nonhuman. “Just as in my own will-to-live there is a yearning for more life, and for that mysterious exaltation of the will-to-live which is called pleasure, and terror in face of annihilation and that injury to the will-to-live which is called pain; so the same obtains in all the will-to-live around me, equally whether it can express itself to my comprehension or whether it remains unvoiced. Ethics thus consists in this, that I experience the necessity of practising the same reverence for life toward all will-to-live, as toward my own. Therein I have already the needed fundamental principle of morality. It is good to maintain and cherish life; it is evil to destroy and to check life. Albert Schweitzer developed a philosophy which he called a “Reverence for Life”, for which he received the 1952 Nobel Peace Prize. Basically Schweitzer considered that all creatures possess what he called “a will to live ” for which we should empathize, and that this will to live should be respected in all animals without exception, and a person wishing to live in accordance with such an ethic should avoid whenever possible harming another creature. To take the life of any being human or non human whether in the literal sense or by enslavement is a grave injustice which should now no longer be a part of any modern society. Slavery has been abolished … or has it? In a powerful new public service announcement (PSA), comedian, actor, advice columnist, and animal defender Robbyne Kaamil—whose great-great-grandmother was a slave—points out that for animals who are held captive in circuses, zoos, and marine parks, the slave trade is very much alive today. And if you buy a ticket to these places, you’re supporting it. Animal Slavery and Other Comparisons: Who Should Be Offended?